Ishii has more than 20 years of travel industry experience where he began in management roles in Japan’s and Australia’s travel industry. Since joining the HGV team in 2008 as a sales executive, Ishii has continued to develop his skills to take on various roles in the company throughout his time. Most recently, Ishii has been the Senior Director of Japan sales where he assisted Hilton Grand Vacations in expanding their six vacation galleries to 11. Additionally, his leadership has helped the Japan sales team gain recognition for their efforts, including being honored as a 2019 ARDA award finalist in two outstanding customer service categories. HGV has been a strong force in the Asia vacation market since their entry in 2003 and has continued to expand its presence since. 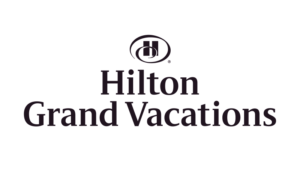 The company operates 11 vacation galleries and more than 40 marketing desks throughout Japan where interested buyers can learn about what it means to be a Hilton Grand Vacations Club member. Currently, they have over 61,000 club members in Japan and have just opened the country’s first property, The Bay Forest Odawara by Hilton Club, in April 2018. The next property will be located in Sesokojima and has an anticipated opening in 2021.